Want to visit the South Florida tourist meccas of Fort Lauderdale and Boca Raton, but prefer a less crowded, relaxing home base for your stay? 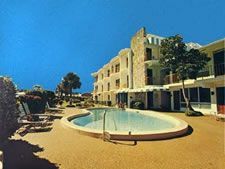 Avalon is the ideal resort. Located across from a sugar sand beach with turquoise ocean waters, and near all of the best area attractions, water sports, dining and shopping, Avalon has everything needed for your comfort and convenience. 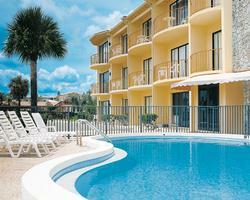 Buy a timeshare at Avalon and your family will have the best of Florida vacationing. Family friendly Avalon accommodations are fully outfitted with all the conveniences of a true vacation home. Buyers can choose from studios that comfortably sleep two people, to one bedrooms that can accommodate up to four people. All have full kitchens with everything needed to prepare a complete meal, full bathrooms (two in the larger one bedroom), and queen and king size beds. Each timeshare has views of the gorgeous pool and gardens, and upper floors have balconies to enjoy the ocean breeze. Amenities include air conditioning, ceiling fans, cable television and in-room internet. Owners appreciate the free parking, laundry room and picnic area with grills. Start your day at the resort with a walk along the beautiful beach and an invigorating swim in the sparkling ocean. Or, swim laps in the pool, and play a round of miniature golf. Offsite have fun with area activities—sailing, fishing, diving, golfing and biking. Stroll the boardwalk from Avalon to the pier, and visit local shops and restaurants. All of this can be yours when you buy a timeshare here on the resale market – saving thousands of dollars compared to buying retail through the resort. Make an offer direct to an existing owner and start dreaming about your next South Florida vacation.